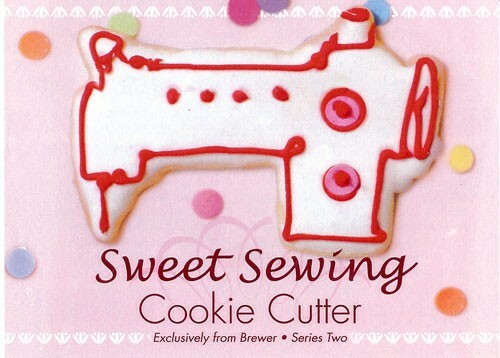 Unique Cookie Cutter, measures 5" X 3.5", comes w/cookie recipe & frosting recipe. Comes in a clear box w/ribbon. Fun gift for a sewing friend!